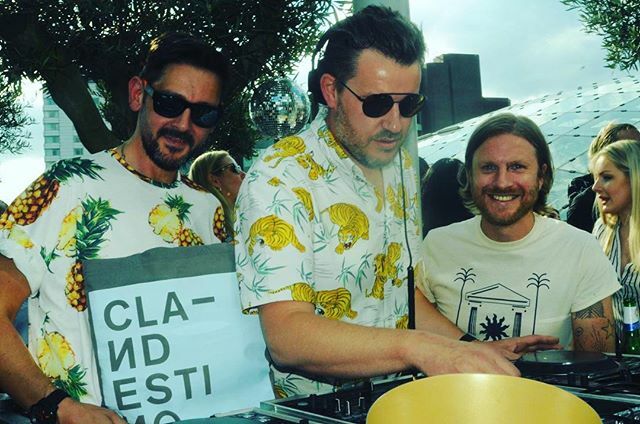 Clandestino are a trio of veteran DJs, promoters and producers from Leeds. Joe Morris, Nick Smith and Iain Mac have been involved in the city’s underground music scene for over 15 years; regularly throwing diverse parties and bringing exciting new DJ talent to town. Their visionary booking policy saw them regularly invite Erol Alkan, Tim Sweeney, Simian Mobile Disco, Optimo and Joakim to Leeds long before they became the established acts they are today. Their sound takes in influences from the glory days of Acid House, the melodic elements of Balearica and the energy of Disco while always being focused at the dance floor. PARTIES l RADIO l LABEL I PREMIERE'S soundcloud.com/joemorris soundcloud.com/nickjsmith soundcloud.com/iain_mac Promos, Premieres & Info - [email protected] Shows 2019 2.